Do you get upset with simple mistakes? 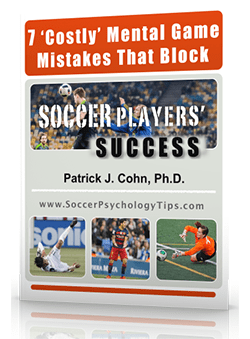 Or maybe you get frustrated watching your team or athletes commit mistakes that seem so simple? 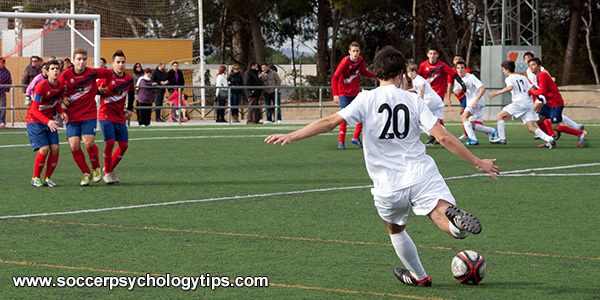 As a soccer player, or even soccer coach or parent, look at each situation from different angles. Mistakes and failures are an opportunity to learn about yourself and your game. A chance to become aware of your strengths and weaknesses. Without failure, you don’t know what it truly feels like to be successful. Recently, I’ve heard a lot about athletes and their playing time. This of course is nothing new. However, it’s become an issue, especially in youth/adolescent sports and is resulting in athletes feeling like a failure. I (Dr. Megan) coached a girl this past club season who was the bottom of the barrel for our team. After each tournament and most practices she approached my co-coach and I about playing and how she felt she deserved to have equal playing time. Throughout the club season, she remained at the bottom of the pecking order and didn’t receive equal playing time. It’s something that really frustrated and even upset her, as it does most athletes. This player and I had many conversations throughout the season. My main message at the end was that you can’t worry about the things you can’t control. It does absolutely nothing to help you on your journey, athletic or personal. She viewed sitting on the bench as failure. I helped her see this in a different light and understand it’s part of the game and process. I also helped her in separating her person from her athletic self. She was viewing herself only as a non-starter and as a result, felt horrible about who she was. Mistakes and moments of “failure” are about learning and preparing for the next event. This player is going on to play at a small D3 school and likely won’t play until maybe her senior year. This past season has prepared her for the next event in her life. She now views the bench as an integral part of a team’s success. After all, she trains against the starters in practice. Also, she is seeing herself as a person first, and athlete second. When you make a mistake, become frustrated, or when your athlete fails, understand that this is only a learning opportunity. 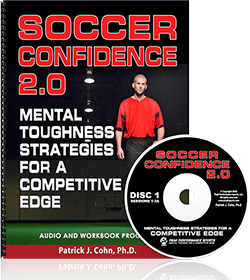 Stay confident as a player and separate your self from your soccer self. As a parent or coach, encourage your athletes through their setbacks and frustrations. When babies learn how to walk, and they fall down 50 times. Babies don’t think, “Maybe this isn’t for me.” They’re going to continue to learn from their disappointments and start walking. When you have patience and allow for mistakes, you permit growth. There’s no comeback without a setback.